To celebrate 2012 summer holiday for students and other people, Digiarty Software, Inc has started its big Back to School Giveaway and Promo. 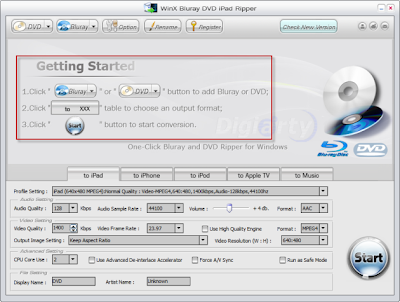 Everyone can grab free DVD iPad Ripper from Digiarty before Aug31, 2012. Other nice offers are available for all as well. This is an easy to use DVD ripper that is able to rip DVD to your iPad iPhone and iPod for you to play DVD movies on iDevice directly. The output video ripped from DVD by this DVD ripper will keep original perfect DVD video and audio quality. 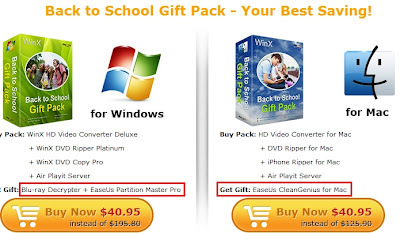 This DVD ripper is designed for Mac users. It also works to convert and rip DVD to iPad/iPad2/iPad3, iPhone4/iPhone4S, iPod and Apple TV without any video or audio quality loss. How to Get the Software Giveaway? 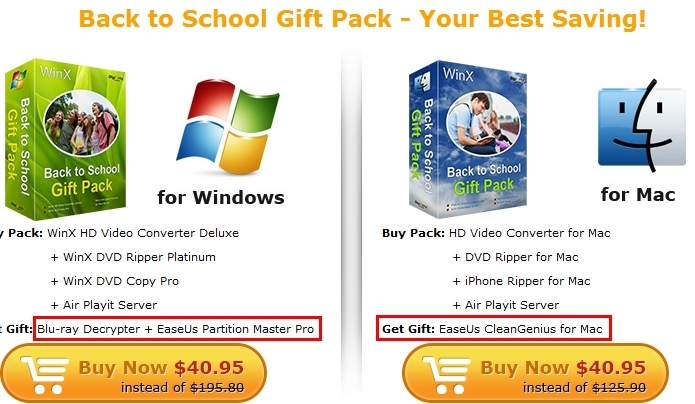 Go to the Back to School giveaway page: http://www.winxdvd.com/specialoffer/back-to-school.htm Grab free copies of this two programs by clicking 'Get License Code' buttons. Use the code to activate software and then you can use the software freely. 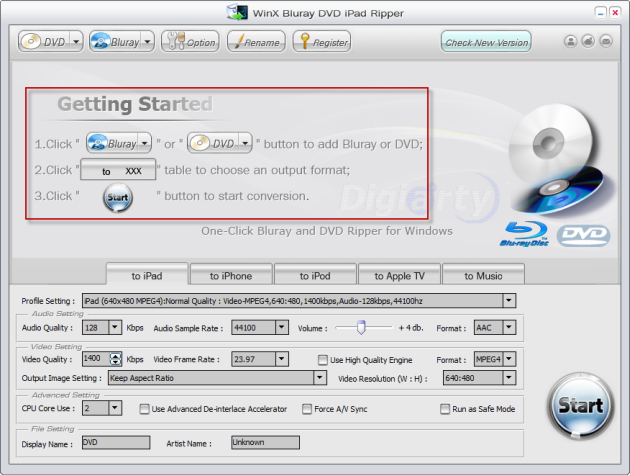 How to Rip DVD to iPad? The software will lead to finish a whole ripping task by only three steps as the main interface of the software will show you.